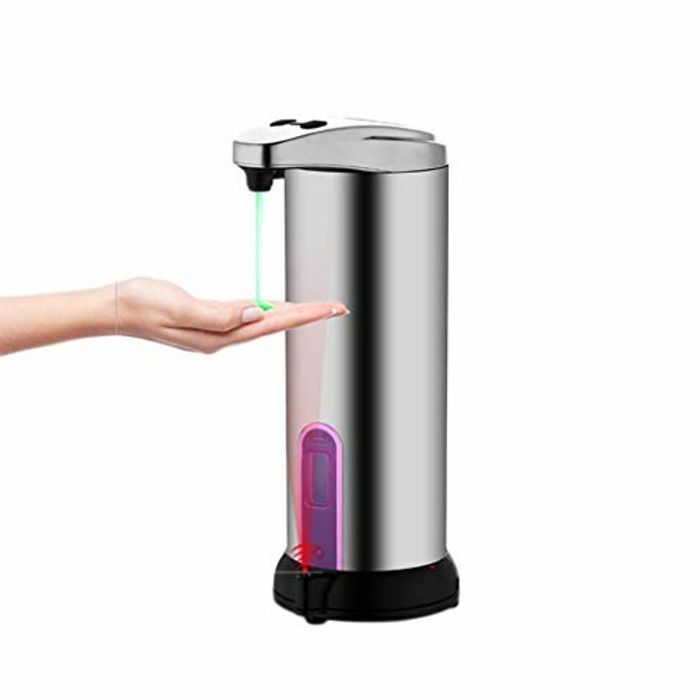 【Non-contact, easy to install】: With advanced infrared sensor technology, all you have to do is put your hands under the soap dispenser and you can get foam soap. Because you do not need to touch the pump, you can effectively reduce the risk of bacterial transmission through contact. 【Stylish appearance】: look beautiful with your bathroom, kitchen, countertops, toilets, bathroom perfect integration, foam soap soap dispenser waterproof function, every bath and sink can be used. 【Waterproof design】: Powered by 4 alkaline AA batteries (contains no battery), Waterproof bottom with sealing ring helps prevent water from entering the battery compartment, which can result in corrosion and inoperability. 【Wide use and quality service】: It could be used on the bathroom, kitchen, bedroom, offices, schools, hospitals, hotels or even restaurants. 【More Details】 Size: 9.8 x 8.8 x 19.8cm / 3.8 x 3.4 x 7.7inch; Ergonomic and comfortable design, suitable for home use; When the soap is used up, it will remind you.